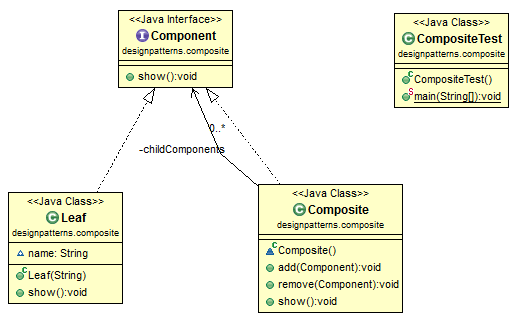 Composite pattern is relatively simple, but it has been used in many designs, such as SWT, eclipse workspace, etc. 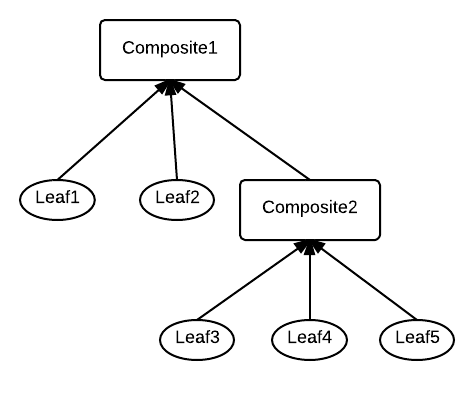 It basically produce a hierarchical tree which can be accessed by using a uniform method. The following code implements the following tree structure.